The Innisfree Green Tea Balancing Lotion from Korea is specially formulated to smoothen and soften your skin. It is enriched with organic compounds like green tea extract, marshmallow extract and orchid extract that work wonders on your skin. This rich lotion seeps inside your skin and moisturizes it thoroughly. It provides essential nutrition that makes it look radiant.The marshmallow extract balances the moisture content of the skin to give you a silky smooth and oil-free look. This amazing Korean cosmetics product also boasts of 5 free system and is suitable for most skin types. 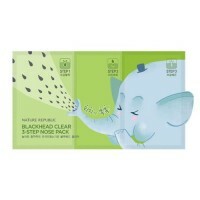 Moisturize your skin and flaunt a glowing complexion with the Innisfree Eco Natural Green tea BB ..